High end Jewelry. Low end prices! 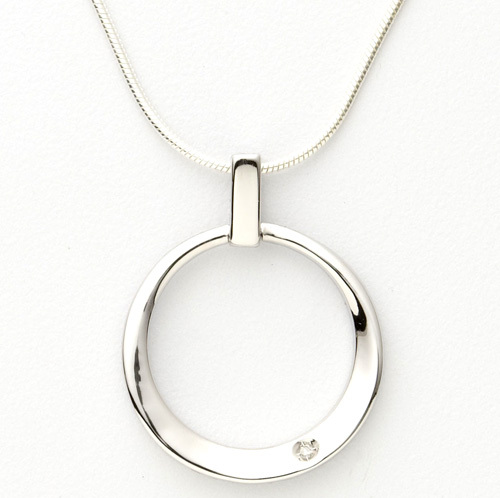 Contemporary diamond & sterling silver necklace, .02ct round diamond set in sterling silver with an 18" round snake chain. Matching earrings M8508. NOTICE: This item is shipped to you directly from the manufacturer. Please allow 10 to 20 business days for delivery. Sorry, expedited shipping is not available. Valid only in the 48 continental states. No P.O. box shipments.